Photo Provided The 10th annual New Era Kite Festival was held over the weekend at Mineral Wells Elementary School. 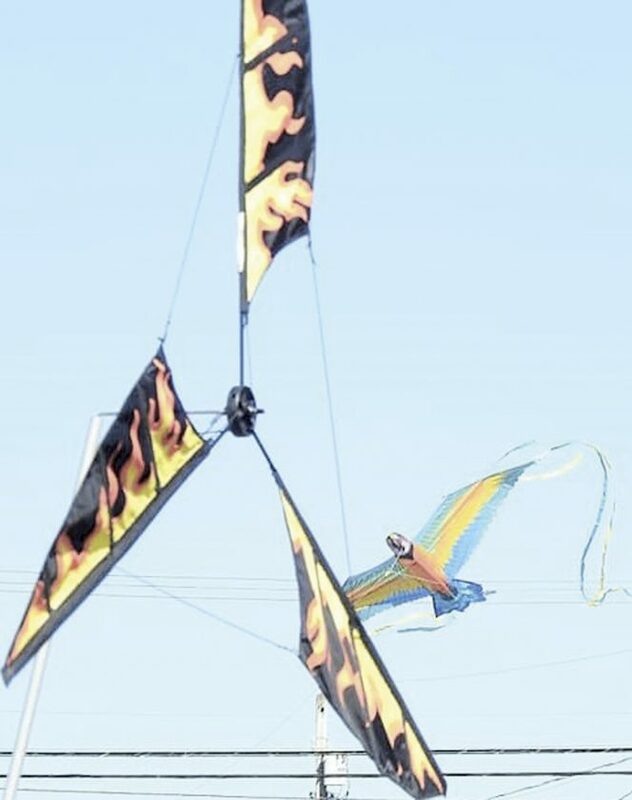 A record crowd attended the two-day festival with many people buying and flying kites. Photo Provided A variety of kites took to the air over the weekend at the 10th annual New Era Kite Festival at Mineral Wells Elementary School. 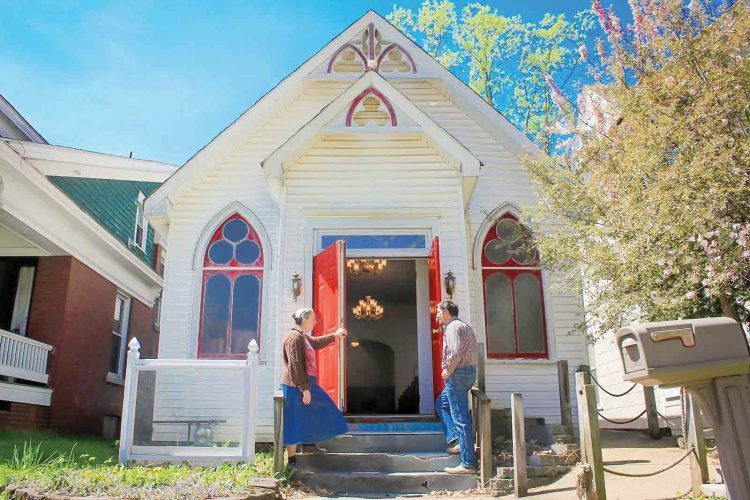 Photo Provided Money made from the 10th annual New Era Kite Festival at Mineral Wells Elementary School over the weekend went towards the upkeep and maintenance at the New Era One Room School Museum. The museum is regularly visited by area school children who are given lessons on how school use to be conducted in the late 19th and early 20th centuries. 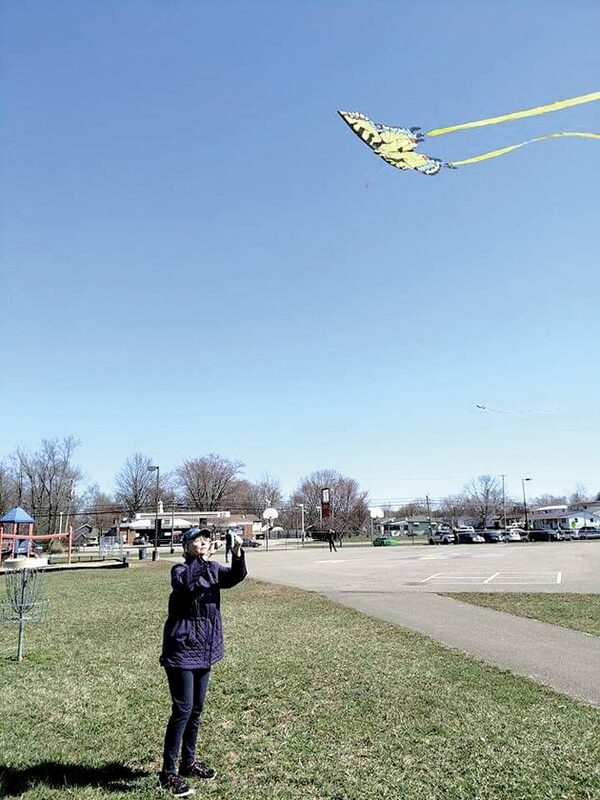 MINERAL WELLS — Good weather throughout the weekend brought out a record number of people to the 10th annual New Era Kite Festival over the weekend. 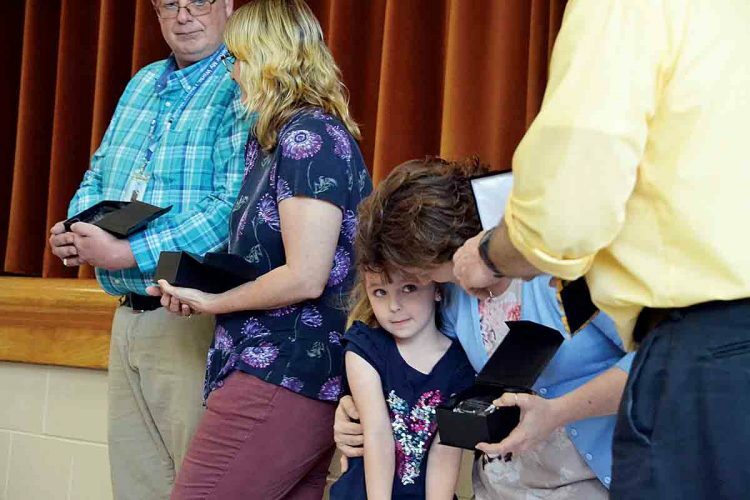 Sunny and windy conditions on Saturday and Sunday brought out many people to Mineral Wells Elementary School on W.Va. 14 in Mineral Wells for the annual event. Visitors were able to purchase kites, learn how to fly them and more with many kites up in the air throughout the weekend. There were also bouncy houses, concessions, the Grand Central Mall Express train rides and free New Era One Room School Museum Tours throughout the weekend. 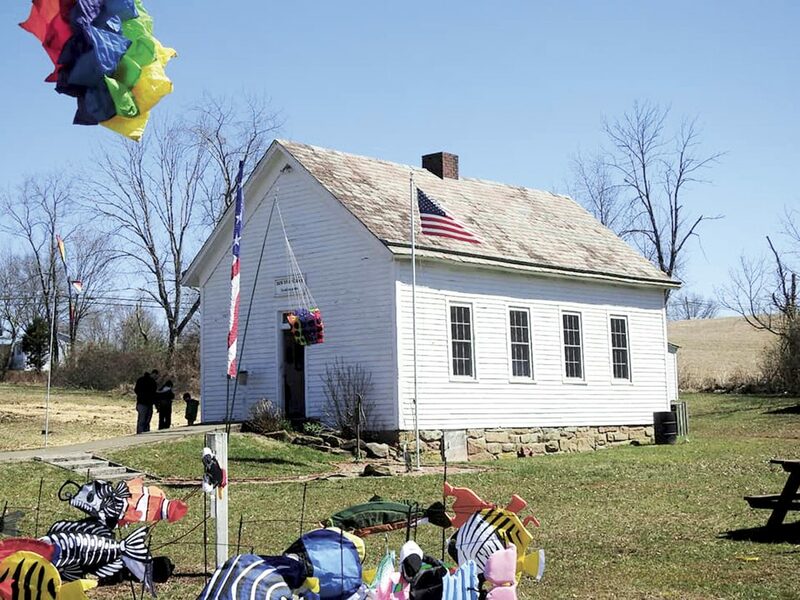 “It has been great,” said organizer Max Barker who is president of the New Era One Room School Museum and the New Era Kite Club. Saturday was one of their best day for kite sales in all the years they have been doing the festival. Money raised from the event goes towards maintaining the New Era One Room School Museum at Mineral Wells Elementary. The money raised from different events is the primary source of income for the museum. The museum is regularly visited by area school children who are given lessons on how school use to be conducted in the late 19th and early 20th centuries. Insurance and propane for heating are the biggest expenses. 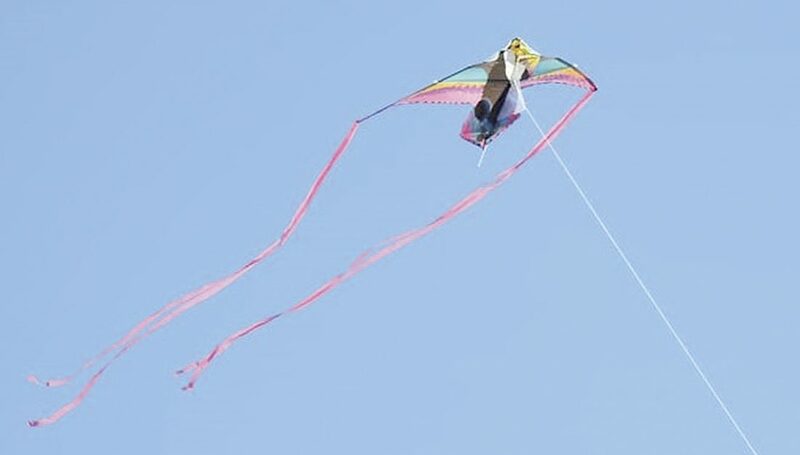 After a couple of years with bad weather and low turnout, Barker said this year they were able to sell a lot of kites. “We have some new vendors this year and we had hoped to go a bit bigger this year,” Barker said. “We are hoping it will grow next year. Since they did not do a Sunday event last year, he had many people calling him to verify the festival was still going on Sunday. They were expecting a big turnout once churches in the area let out. Barker did not have an exact count of how many people attended the festival over the weekend. “I know it was very crowded,” he said. “We ran out of food a few times and had to go and restock. Although it was sunny throughout the day Saturday, there was still a cold chill in the air. However people were still able to get out and fly kites. “We had a lot of kites in the air,” Barker said. “We had the skies pretty full. The festival was the first time many people have been able to really get out since winter. Robin and David Stout, of Davisville, brought their three grandchildren out to the festival on Sunday. “It was entertain the grandkids and get them out of the house,” David said. The kids enjoyed the different things going on at the festival. “It was a nice day out,” Robin said. They were going to take them to the New Era Schoolhouse for a tour. “The kids are really enjoying themselves,” Robin said. Tabatha Debruyn is a former resident of Wirt County who now lives near Charleston. She use to drive by the school all the time. She brought her 3-year-old son Finley to the festival since they were in the area over the weekend visiting. “We love this playground, there was a kite festival so we thought this would be a great way to spend a nice Sunday,” Debruyn said. “The weather is beautiful and we are really enjoying ourselves. Barker hopes many of the kids who came out enjoyed themselves.